Talk about a baptism of fire! 14-year-old Vincent Keymer has been paired to play World Champion Magnus Carlsen in Round 1 of the GRENKE Chess Classic on Saturday. The good news for the kid? He has White. The bad news? If he survives he then has Black vs. Anand and White vs. Caruana in his next two rounds! 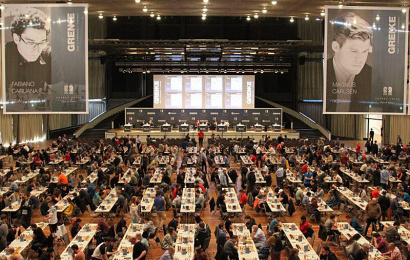 Meanwhile the start of the massive GRENKE Chess Open featured an unfortunate incident: 15-year-old Alireza Firouzja forfeited his Round 3 game against Israel’s Or Bronstein rather than get into trouble back in Iran. Vugar Gashimov is dead. The chess world received the sad news on January 11th that Vugar had died overnight of a brain tumour in a hospital in Heidelberg, Germany. Jan Gustafsson remembers "one of the nicest guys around".